Efficient use of abundant low-grade siderite ores can potentially mitigate the shortage of iron ore in the iron and steel industry in China. 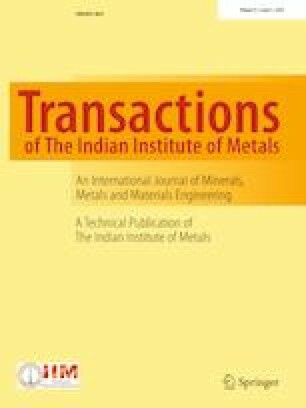 In this work, the beneficiation of siderite fines containing high levels of carbonates was studied using a combined fluidized-bed magnetizing roasting process. The siderite was almost completely converted into magnetite under the optimum conditions of preheating at 550 °C for 30 s followed by magnetizing roasting at 550 °C for 60 s at 0.5 m/s gas fluidization velocity in a 13.3% CO + 6.7% H2 + 80% N2 atmosphere. Magnetic separation was optimized using a fineness of that grind of 89.2% of the material passing 0.074 mm and magnetic field intensity 0.2 T. Comparative trials confirmed that the enhanced measures proposed, including optimizing gas fluidization velocity, preheating of the materials, the use of a mixed reducing gas, and selection of the optimum particle size of raw materials, could improve beneficiation of siderite. A high-grade magnetic concentrate containing 62.6 wt% iron grade with an iron recovery of 89.2% was achieved. The results demonstrated an effective process to utilize siderite ores. The authors wish to express their thanks to the Natural Science Foundation of China (No. 5157041410) for the financial support of this research. Qiang Zhao conducted the experimental work and prepared the manuscript; Jilai Xue directed the research work and modified the manuscript; Wen Chen participated in the design of the research work at different stages.